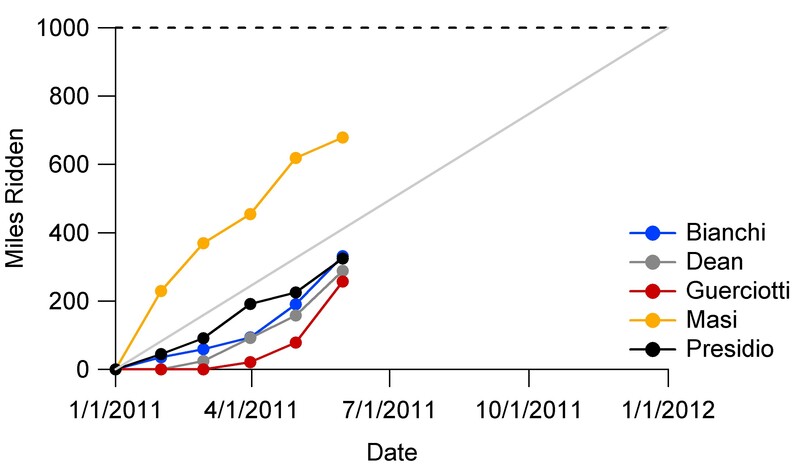 The gray line is how much I should be riding if everything were consistent year round. Obviously, they’re not. I’m behind schedule for now, but the prime riding months are here. For the benefit of who ever reads this I’ll occasionally update my progress to enable proper heckling. Is it Cross Season Yet? Technically I never recaped the completion of my 2010 season, so I suppose it never properly ended (aside: it turns out preparing for interviews can be time consuming — if you need a materials scientist, let me know). 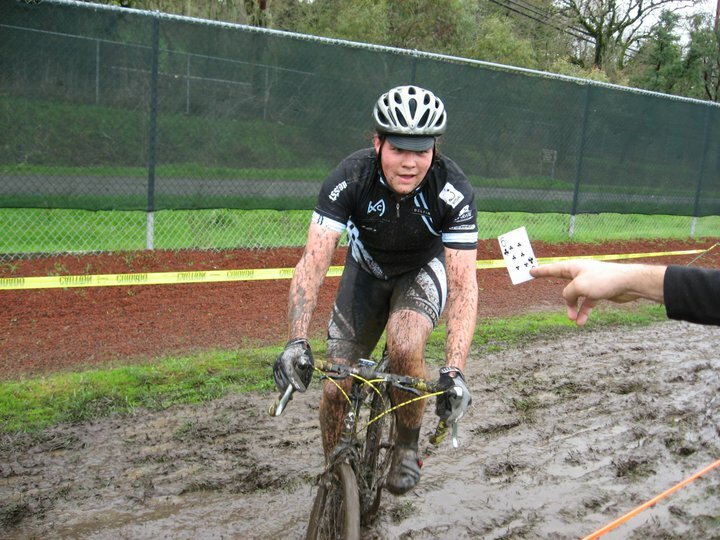 My 2010 CX season was the first time I properly trained for anything. No, marching band does not count. Regardless, it’s amazing what setting out a plan can do for you. It all culminated with a 10th place finish at Monkey Cross #4 at the familiar Dan Galvin Park. I was excited to culminate my season with such high a finish – a big accomplishment for me. Can I help but get a little excited? I got my hands on a Dean CX frame in the off-season, so there’s another killer machine in my stables. A conversion of my Gary Fisher to single speed will enable my utter destruction in the SSCX category. Perfect timing for SSCXWC’s visit to SF (although I suspect my skill as a gazelle will have less impact in the qualifiers than my skill with beer). Growing interest on the Mission club has prompted our brilliant leaders put together a CX specific kit. And do I really need to point out the Kitten of Flanders? Not to mention, I’m blogging again! It’s too exciting. With next season just a glimmer in the dstance, I only have one question: is it cross season yet? You are currently browsing the The Beer Gazelle blog archives for May, 2011.